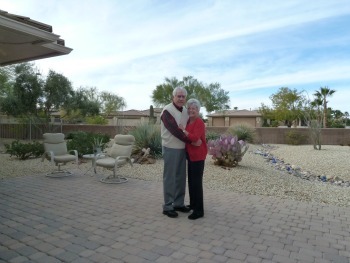 Practical retirement advice is what we have followed since we retired in 1994. If we had taken the advice of our friends, family, coworkers, or our financial planner... we would probably still be working today. As you know from practical experience, if you type in the words retirement planning in your favorite search engine... you are going to be bombarded by marketing information...most of which comes from those huge financial companies..." that were deemed too big to fail." Said another way the retirement planning information that you get online is mostly about these companies trying to convince you that only their products will allow you to reach your financial goals. This is a very narrow outlook on what's really important in retirement. These companies are after your money, but money is not the only thing that should be considered when planning to retire. You need practical advice and that's what you get on this website. 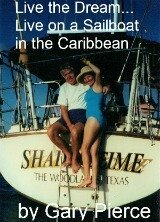 We have been retired since 1994 and would not trade the wonderful experiences for any amount of money. The time that you spend retired it's much more precious than the time you expand to obtain the size of the nest egg that the big financial companies insist that you must have. You get the point, there are many financial companies, all with huge advertising budgets, that try to convince you that money is the only thing that counts when discussing retirement planning. I do not plan on competing with them, and you will receive no investment advice on this site. Since 1994 I can assure you that retirement is much more fun than working...Can I get an Amen? We can help expose you to retirement lifestyles that are safe, relaxing, and inexpensive. You may not care for sailboat living, it worked for us but it may hold little interest to you. We are positive that you can downsize your house...due to our experiences of living on a sailboat. You can be assured that living in a smaller home, or a condo, will cost less than a "normal" sized home. Since we have done it safely we can assure you that living in a foreign country is a lot of fun and very inexpensive. We can show you how waiting until 65 to retire is a foolish exercise... the effects of swapping time for dollars can be devastating. You need practical retirement advice and you can find it on this site.